Graduation is near! GradImages will be there to capture your images during the ceremony. Don’t forget to Pre-Register prior to the event to share your photos with loved ones and to receive a coupon code for $5 off an order of $25 of more! After Commencement, make sure to look for all the great photos from the graduation ceremony captured by GradImages. 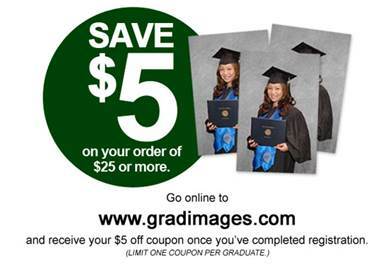 You will receive an email when your photos are ready to view and order or check www.gradimages.com.